“In times like these the natural inclination of believers is to ask God why? I personally do not, because in my experience the answers are usually far above and beyond my reach,” she continued. “Christ . . . was accused and convicted by the courts of his day and yet this was not his end but rather the beginning of the next chapter in his story,” she added, intimating she will not resign her House of Commons seat or Labour membership. Ms Onasanya was found guilty on Wednesday of lying to police about who was driving her car to avoid speeding penalties, and will be sentenced, along with her co-conspirator brother Festus Onasanya, in January. Labour promptly removed the party whip from her and put her on administrative suspension, urging her to resign — though the party cannot force her. However, any MP sentenced to more than one year in prison is disqualified from maintaining their seat, triggering a by-election. Even if she is not imprisoned or sentenced to a jail term of less than one year, a 2015 law states that any prison sentence, even suspended, can be grounds to prompt a “recall” petition. If 10 per cent of constituents support it, it can trigger a by-election. If not, she could in theory retain the seat as an independent. 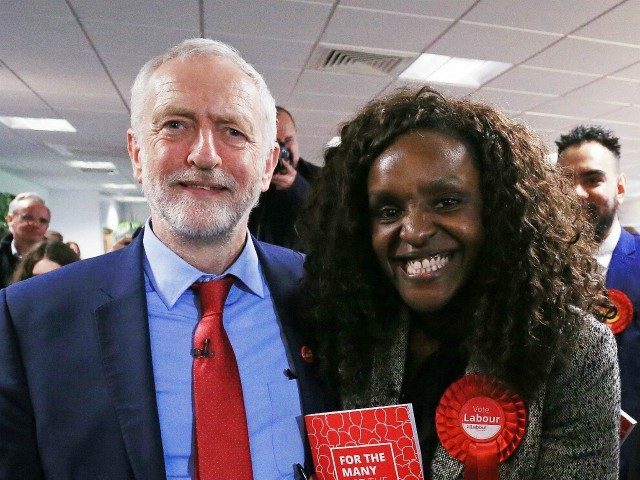 Ms Onasanya only won the Peterborough seat in the June 2017 General Election, and by a slim margin of only 607 votes against the incumbent Tory MP Stewart Jackson. It was just one month later that the Labour MP denied being in her car at the time when it was caught driving at 41 miles per hour in a 30 zone, blaming a former tenant who was in a foreign country at the time when later questioned by police. She was accused of colluding with her brother, who pleaded guilty to three charges of perverting the course of justice related to speeding, one charge being his sister’s case.